Can be found in the woods west of the Grove of the Ancients, usually on the treeline just before the beach. Someone on EU forums was reporting the same problem and there's the result of the investigation. TL;DR: sometimes addons still display a wrong breed during the battle. Thank both of you for a notification. Got two rares today. There seems to be a bug with this pet though. I kept hunting for a P/P but was getting everything else. Just for captures sake, I kept an uncommon P/P. While sorting through my pet list, I noticed both my rares had been changed to P/P. So I dumped the duplicate and the uncommon one. I love this pet for leveling other pets. Send in a low level pet for one round. Then send this guy in. Roar, Rampage, Hibernate... rinse and repeat to kill all three enemy pets. If you time it right you can also usually finish with him near full health at the end of combat. I suggest grabbing the P/P version for max power, but also grab a B/B breed. It has the most speed of all the bear cubs and will allow you to use Bash ability more often. The Dun Murogh cub comes as H/P so you won't need that breed. Get the P/P breed, only 325 power bear. Bite is good enough as a basic attack, but Maul truly shines in a bleed team. Get a crocolisc and you are good to go. Especially when the beast racial kicks in you will get scary numbers from Maul. Even with 260 speed Bash can be useful if you want to switch without the incoming pet taking a hit, and there actually are alot of slower than 260 pets, especially Undead and Crabs. didnt think i would like a wild pet but this one has grown on me, chose it to go with my hunters combat pet, then obtained a bear mount shortly thereafter to complete the set. lol! anyone got any team suggestions for this guy? 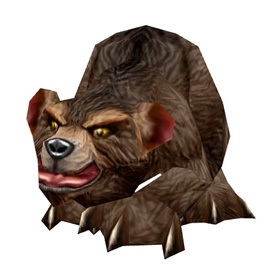 This pet is one of the more effective pets out there, especially when it reaches 10, which gives the Roar ability (which u follow up with Maul for massive damage). The fact that this pet can Hibernate is the key to its success and I have found this one to be easy to lvl up and use in effective battles. Finally a bear minipet in the dark brown color. Been hoping for one this shade after the white of the Baby Blizzard Bear, the black of the Dun Morogh Cub and the light brown of the Hyjal cub. This little guy matches my hunter's Ashenvale bear pet exactly. Can confirm finding these guys in Southern Darkshore. Flew over the Grove of the Ancients and paws popped up everywhere. Approx level 3. They have the hibernate ability and use it, so if you don't trap successfully the first time, you may have to damage them a wee bit more. These guys are adorable, they fall asleep to regenerate health. 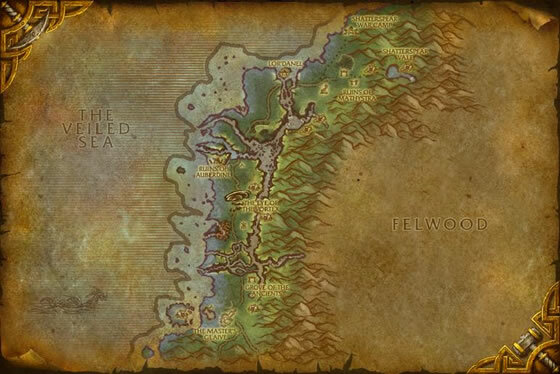 I can confirm they are at roughly those coordinates however for those without maps you can find these guys due south of the vortex to the left of the Grove of Ancients. First one I came across was a rare so I was quite lucky with that.